Wash and drain the rice and keep it ready. Heat 2 tbsp of ghee in a cooker. Add all the spices and saute for a min. Add ginger garlic paste and sauté for a min. Add rice and fry for 2-3 mins stirring continuously. 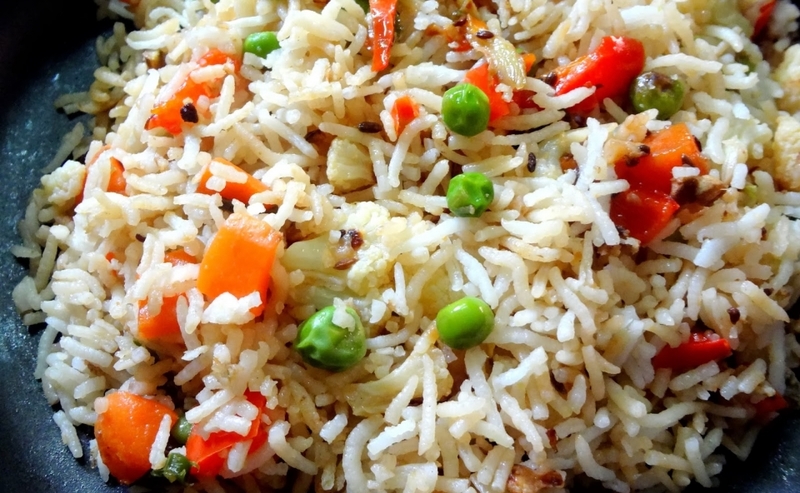 Heat the remaining ghee in a pan and add sliced vegetables. Add chilli powder and salt and sauté till is cooked. Switch of the stove. Cover and cook in low flame for 2-3 mins. Serve hot.